Another enjoyable potter around Idless Woods today. So called because of the nearby village, but also referred to as St Clement’s Wood. We’ve been here many times. There are various paths through the woodland. There are usually a few dens around for playing and rebuilding. We usually walk to the place where you can get down to the stream to paddle and throw stones. 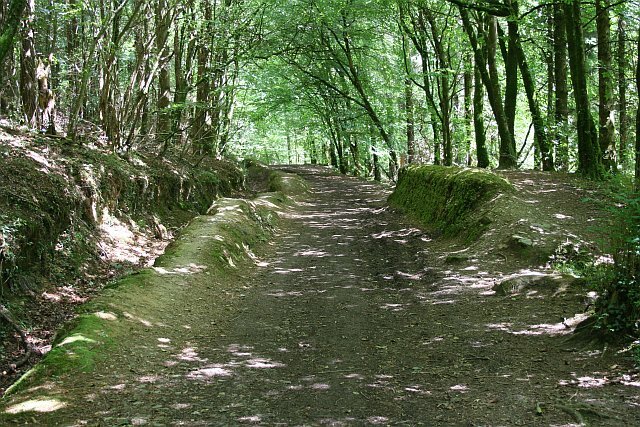 If you venture further into the woods you can find an iron age fort and the remains of gunpowder works. It gets muddy in places particularly near the stream. The trees are mostly pine with some broadleaf planting in areas where the larch has been felled. The main paths are wide and stony. Youngest insisted on wearing her birthday pink frilly skirt. Unfortunately there are no photos to prove it. Shoulder rides were a little challenging with layers of pink net around my face. Pushchair suitable? Stick to the main paths. Time: As little or as long as you like depending on how much you want to explore. About an hour and a half to walk to the paddling part of the stream and back. As you drive up to the car park, the entrance to the woodland in straight ahead of you. About 100 yards along the main path there is a right fork to a lower path. We usually take this route to the stream where there are some remains of the gunpower works(down a steep slope to the right). You can return the same way, or with the stream on your right, turn left and take the path up the hill. This gets a little steep. Keep going straight up – there’s a bench at the top! You will come out on the main path. To return to the car park, turn left and follow the path down the hill.